Boller and Chivens developed a program for generating glass photo plates for large optical encoders. 1. Rubber Pads on Slab. 2. Steel Pads on Rubber Pads. 3. Heavy Steel Support Frame. 4. Thick Rubber Pads on frame. 7. Precision Rotary Table operated by electronic Servo System from the control console. 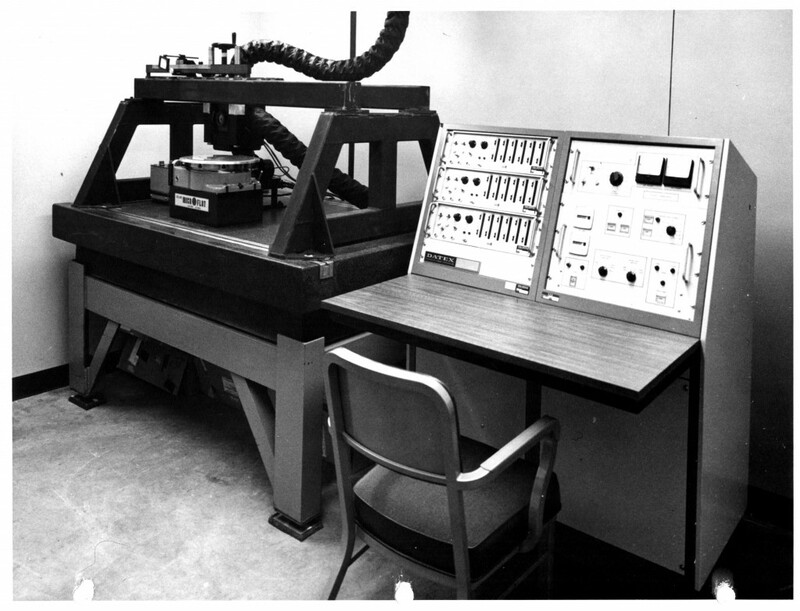 The control panel would program the rotary table to index to many angular positions and produce. short multiple radial lines at different radii. each of the hundreds of rotational lines that were being projected onto a glass photographic plate. The temperature-controlled room was a positive clean–room environment.